Shop Vac Shop Sweep Industrial Push Sweeper,lightweight, easy to maneuver push sweeper cleans dirt, dust and litter from any hard surface including cement, tile, wood and asphalt. - Side broom sweeps debris away from wall and obstacles into path of main broom. - Main broom sweeps debris into large 1.2 cubis foot hopper. - Easy to empty hopper. 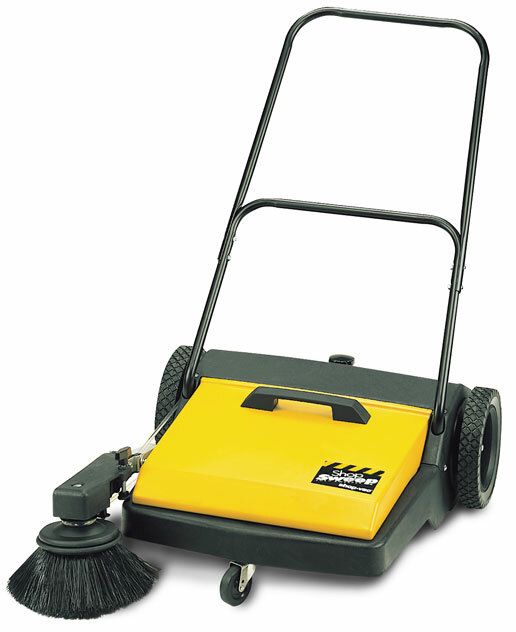 - Cleans 27" (68.6cm) wide path. - Rubber seal provides dust free operation. - Two 10" (25.4cm) main wheels with heavy duty front caster. - Adjustable main and side brooms.